The DNA line from Colway features highly-concentrated cosmetic formulas that have a unique effect not only on the skin’s surface, but also at the cellular and intercellular levels. 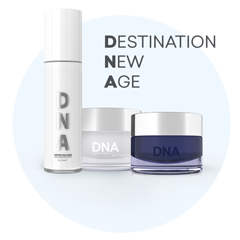 Products in the DNA line are based on innovative scientific achievements, the proven biological effect of active collagen and active ingredients sourced from around the world. This guarantees its efficiency and rejuvenating effect compared to the usual aesthetic treatments. The DNA line from Colway contains cosmetics that are the best anti=age serums available on the market. They are composed from record number up to 16 of luxury active cosmetic substances. You will not buy cosmetic of so oveloaded composition in any drugstore. The DNA line from Colway effects after application we call as "surgery like". Try, you won't be disappointed.